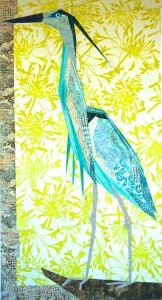 The Great Blue Heron is my newest pattern and class. This stately bird is found in many places in North America. Check my teaching schedule for the next offering of this class!